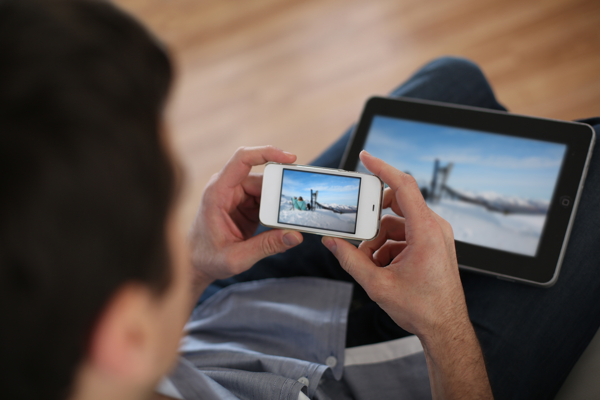 Overstimulation from technology has major implications for teens. One consequence is that teens are giving their attention to too many things at once and not providing their full attention to one thing, therefore decreasing the quality that one would get when focusing on one thing at a time. Another implication is that teens have a difficult time sitting with stillness and therefore complain of boredom very often. They appear more and more unable to utilize their creativity to think of ways to entertain themselves. 2. Depression. Depression due to addiction to technology can also be attributed to social issues with teens. An increase in exposure to a “perfect” body in media and advertising can create a negative body image in teens, especially girls. A greater presence on social media websites and mobile applications can increase exposure to cyberbullying. Secondly, social media can create an artificial perception of other people’s “perfect” lives and teens may feel deficient and lacking due to this perception. 3. Physical Health. Addiction to technology comes with increased time sitting still and lack of exercise. With this being said, there are exceptions where technology incorporates exercise, like Wii Sports, but most of the time interaction with technology involves sitting. Without physical exercise, the brain does not have the opportunity to increase brain neurotransmitters such as serotonin, dopamine and norepinephrine, which help create a sense of wellbeing. Lack of exercise due to addiction to technology is one of the biggest contributors for poor physical health in teens. Lack of exercise can cause disruption in the digestive system and blood sugar levels, high blood pressure, high cholesterol, obesity, overall feeling of fatigue and malice, joint and muscle problems, depression, anxiety, and so much more. Heavy technology use is also linked to poor sleep, especially in teens. Many teens do not know or have the willpower to limit technology use late at night and therefore miss out on the nine hours of sleep that they need for optimal daily functioning. Even watching television late at night before bed can disrupt the body’s natural circadian rhythms and make it more difficult for teens to fall asleep. Lack of sleep is a contributor to numerous health problems that can interfere with optimal teenage functioning. If your teen is suffering from technology addiction, it is up to you as the parent to help them set limits when it comes to their technology use.